I live in England and am blessed to have been able to achieve my dream in life which, from a very young age, was to be a full-time wife and mum. As my alternative choice of career was to be a teacher, I have filled those years with voluntary children’s and youth work in church and schools, hence my experience with nativities. 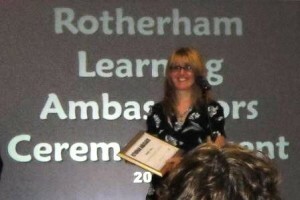 My volunteer work led to a few years as a teaching assistant at my children’s school, but I gave up this role so that I could be an extra voluntary support to children with special educational needs where sufficient funds were not available to do enough, as well as establishing and running a school book club….You get the picture: I love children, and helping them to achieve their potential! I have two fantastic teenage children myself, both of whom make me very proud, and who, together with my selfless husband, have supported me in everything that I have done. It was a chance lesson in my son’s primary class which introduced me to my previously undiscovered love of poetry and I continued writing from there, adding my poems to a free educational poetry website www.angelaspoems.com for the purpose of encouraging others to have fun with poetry. Once the seed was planted, it continued to grow and I am grateful to friends (and indeed to strangers around the world) for their encouragement, particularly as it has now developed into trading as Best Children’s Nativity. I have many years of ideas to work on and to add to my websites as I find the time to write, including rhyming Easter plays, the first of which I have written and hope to make available soon. 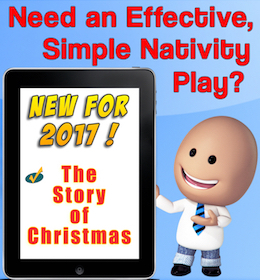 How did Best Children’s Nativity get started? The poetry came later when I felt myself inspired. And churches meant that I built up some valuable tools. Nativities because I searched but never could find any! And so, I wrote my own; that’s how my poetry transpired! Expand my skill at writing, for the benefit of you. She is the other half of this nativity duet. The website and the marketing to bring the scripts to you. And so, that’s how it started: initially one script. The feedback was fantastic, and I was more equipped. Customers requested that I write more; so I will! We just need word to spread and, hopefully, that’s down to you!